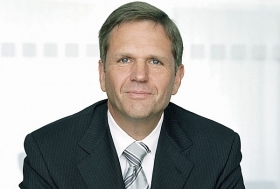 VW's Jochem Heizmann set to move to MAN. (Bloomberg) -- Volkswagen AG production chief Jochem Heizmann will become the new CEO at German truckmaker MAN AG, German newspaper Bild reported, citing an unidentified source. VW is MAN's largest shareholder. Porsche CEO Michael Macht is the favored candidate to succeed Heizmann as head of VW production.